Residents of the UK and elsewhere are decidedly upset at the new style of terrorism in their midst from ISIS aligned malcontents. With Manchester, London, Notre Dame, Melbourne (Australia), Kabul, Baghdad, Tehran and so on, it seems that every week more atrocities appear. There is a reason for this heightened round of terrorism and it has to do with Aries. While most astrologers and people are confused about what age the world is currently passing through, we are actually passing through the Age of Aquarius. Ever since the Age of Aquarius arrived in the 15th century, rebellion, democratic reforms and progressive socio-political movements have flourished – mainly in Western culture – beginning in earnest with Oliver Cromwell in England. Imagine how people will view our time 1,000 years from now. If you want this perspective, take a look at the world in 1017 and see what our glorified barbarian “civilized” ancestors were doing one thousand years ago (in the Age of Pisces). We will probably be seen as the cusp of the clash between primitive civilization with lots of technology leading to progressive civilization. As long as war, conflict, open violence between countries and unnecessary deaths from drought or diseases remains, we are still in the world of primitive civilization even if we can watch Netflix. It could be argued that people’s focus upon their mobile devices is equivalent to ostriches having their head in the sand. In every astrological age, a specific place was ‘favored’. Under the Age of Gemini it was Mesopotamia (Iraq), under Taurus it was Ancient Egypt, under Aries it was Ancient Rome, and under Aquarius it is Western culture specifically focused upon the USA but with Europe in the mix. Whichever region or culture the astrological gods temporarily favor, there resides good fortune (to a certain extent). The astro gods have favored western culture since the 15th century which is why history books call the 15th century the beginning of modernity in Western culture. Historians know more about ages than astrologers. As the temporary leading culture, it is up to Western society to set the tone, because the actions of the leading culture filters out to the rest of the world like the wake from the bow of a boat. Is Western culture setting a good example? Did Western culture, spearheaded by the Anglo-Saxon nations headed by the USA, do good when they invaded Iraq in 2003? Hundreds of thousands of innocent civilians and possibly up to one million people were killed subsequent to the invasion of Iraq in 2003. If, as an American, British, Australian or citizen of some other Western nation, what would you do if your country was invaded and occupied by a foreign power and up to one million of your fellow citizens killed? Now many people would just acquiesce but some patriotic souls would develop some retaliatory measure like the Free French partisans when their country was attacked and occupied by the Nazi Germans in the Second World War. Did ISIS appear out of nowhere for no reason? Or was the creation of this organization and similar ones the result of numerous injustices heaped upon them including the callous murder of so many innocent people in the Middle East by ‘enlightened’ Western invaders led by that champion of freedom – the USA? Would ISIS even exist today if the Americans had not led their churlish and irrelevant war against Iraq in 2003? This is just one example of what can create anger which organizations such as ISIS can both exploit and take to extremes. The ongoing European Jewish invasion of Palestine over the last one and a half centuries is supported by Western nations and demonstrates very clearly to the residents of the Middle East that they are treated as dogs. Some progressive Western nations and politicians have become aware of this iniquity. Listening to the news today about the growing number of atrocities committed by deranged individuals, criminals and small groups influenced by ISIS feels like the world has collectively fallen prone to Alzheimer’s disease and cannot remember last year, let alone 2003. The inability of the USA led West to perceive their own complicity in the unrest of today, specifically in the Middle East, is what causes war and further conflicts. Does selling billions of dollars of arms to the medieval Kingdom of Saudi Arabia, that stills beheads its citizens and subjugates its women, lead to peace in the Middle East? The Trump instigated ‘blockade’ of Qatar by many surrounding countries has one neighboring country threatening 15 years imprisonment to any of its citizens expressing support for Qatar. This is just political moral corruption to the nth degree by the USA and this is not limited to Trump, it has been going on for decades, if not over a century. Fortunately, from the astrological perspective, the world is heading away from this momentum of stupidism that the world is addicted to, but at a snail’s pace. With Trump in the White House, it can even be argued that the snail as currently accelerating backwards, but this aberrant behavior can only last a small time. Fortunately, the astro tide in the medium and long term is heading in the forward direction. Trump and his followers cannot stop the Age of Aquarius. Currently the world is in the same astrological configuration as the 2003 Invasion of Iraq. In the previous Cancer micro-age (2000 – 2014) were 12 nano-ages, and the Aries nano-age and overflow (Aug 2002 – Nov 2003 – Jan 2005) included the invasion of Iraq from 20 March to 1 May 2003. The current Aries nano-age and overflow (Mar 2016 – June 2017 – Sep 2018) is in the Gemini micro-age (2014 – 2029). The bad news is that when Aries is prominent, war, discord and conflict is always at a higher level. With June 2017 the apex of the current Aries period, it is unfortunately associated with what seems like a growing spate of terrorist attacks around the world. The intensity of Aries is at its strongest level from June 2017 until February 2018 and so we must expect more terrorism at a much higher level than normal for the next 8 months. If the West wants to set an example, it must stop killing other people to further their economic, military or religious biases as a starting point. Currently the USA is bombing civilians in Mosul, Iraq – this is merely collateral damage from the western perspective. Unfortunately, this will remain the degraded international socio-political reality for some decades to come, but even now, the light at the end of the tunnel can be glimpsed. On the political front, we had Bernie Sanders in the USA and Jeremy Corbyn in the UK. Last weekend I read in a Murdoch newspaper a report by a shocked journalist that Jeremy Corbin had 35% support from the UK voting public. Shock and horror, how can this many people turn their back on the modern capitalist dream as promoted by Fox News? 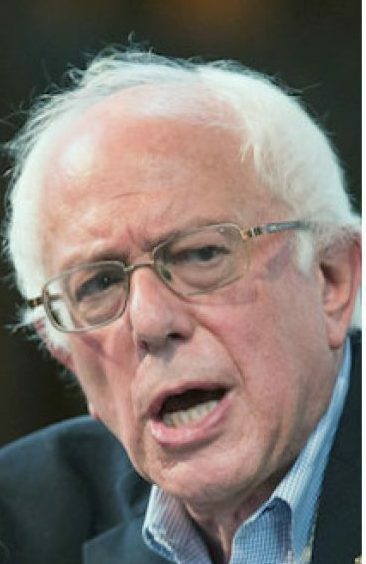 Corbin, like Sanders in the USA in 2016, expressed basically the same progressive political and economic policies intended to reign in extreme capitalism and promote socialist ideals for the benefit of the less wealthy half of society. Socio-political change is slow, but interestingly, as of June 2017, the current Aquarius micro-age decan and overflow (Dec 2014 – Dec 2019 – Nov 2024) has just changed from first to second gear stepping up the intensity of Aquarius in the world. We can expect further movement towards the progressive future for the rest of this Aquarius micro-age decan and overflow, especially in the period Dec 2019 to Jun 2022 when it shifts into third gear. We can also expect growing strident opposition from reactionary political forces such as Trump, le Pen and conservative populace politicians everywhere. In any Aquarius period, the mainstream or middle-of-the-road perspective suffers and extremists on the left (progressive) and right (conservative) can gain far more traction and support compared to ‘normal’ times. (see “This is the Dawning of the Aquarius Micro-Age Decan” ). Which direction each country veers depends upon their evolutionary stage. Immature democracies tend towards the fascist (disctatorial) conservative end such as the Philippines under President Duterte. Unfortunately, this Aquarius orientation towards extremes or fringes also promotes “revolutionaries” who are at war with mainstream (Leo) society. The fact that the current Aquarius period sits under the shadow of the larger Cancer micro-age overflow (2014 – 2029) places the focus firmly (but not exclusively) upon the Cancer aligned Middle East. (see “Cancer – the New Paradigm for the World” ) Therefore, it is hard to see that while the USA and the West continue to pour volatile fuel upon the Middle East, via abhorrent arrangements with their despotic leaders, that there will be any change in the current terrorism scenario. It’s a case of “you reap what you sow”. To the average western person, the above kind of perspective is outside their scope of understanding even though it is expressed overly simplified in this article. The average western person knows they are ‘good’ and their society is ‘good’, so why are these bad people trying to attack and kill them? This is why a significant proportion of western society can be attracted to knee-jerk populace policies which can breed further antagonism that further feed the discontented urban terrorists in their midst. While the blind lead the blind, the world we live in will remain as it is and has been for the last thousands of years.